The second game for the North Facial Division is a clash of the titans. It’s Christina Moss Facial Moisturizer vs Burt’s Bees Night Cream. Do You Want the FAVORITE to Win? 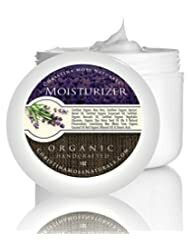 Christina Moss Naturals Organic Facial Moisturizer is a power house of a team. With a strong history of winning, this team is loved by most. But, there is no love loss for opponents. 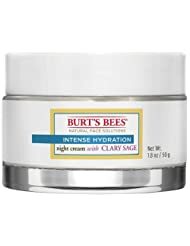 Burt’s Bees Intense Hydration Night Cream comes from a long line of Burt’s Bees teams. The Burt’s Bees name is a house hold name in most families. They will have a tough time facing this opponent. In the North Facial Division, Christina Moss Facial Moisturizer wins with organic plays. Typical organic themes have a more hippy/dippy feeling. But, Christina Moss Facial has made organic the norm. And, the way Christina Moss Facial Moisturizer goes about organic business is very professional. Can Burt’s Bees name recognition and strong fan base win the day? Burt’s Bees Night Cream has the ingredients to go head to head with a team like Christina Moss Facial Moisturizer. But, can they dial the right combination of players and face down the critics that think they don’t have a chance? Christina Moss Facial Moisturizer has been very selective while gathering this collection of players. Can Christina Moss Facial Moisturizer’s small but powerful team stay dominant in the Facial arena? Burt’s Bees Intense Hydration Night Cream’s roster is very large with players that have subtle differences between come of them. The Burt’s Bees Night Cream coach has a tall order in from of him to pick the right combination of players to knock off the juggernaut of Christina Moss Facial. Burt's Bees wins the coin toss and will receive. 0 - 7 7:16 Burt’s Bees Night Cream Aquaman squirts into the end zone on a 13 yard reception for a TOUCHDOWN! The extra point is GOOD! 10 - 14 11:30 Burt’s Bees DB Intercepts Christina QB Emulsifying Wax and returns the INT for a TOUCHDOWN! The extra point is GOOD! Burt’s Bees Night Cream wins the coin flip and Christina Moss Facial Moisturizer will open the game kicking off. After winning the coin toss the BB coach watches in horror as his kickoff return man makes the incredible poor decision to return the kick starting 8 yards deep in the end zone. After getting to the 5 yard line, the BB returner has to do some serious dancing just to get the ball out to the 11. The BB coach is furious and lays into the returner as the team tries to look away. Enter the game to try and dig BB Night Cream out of this giant hole is Aqua. Aquaman (his superhero name given to him by his teammates) brings a lot of talent to the team. To start the first drive, Aquaman shoots through the secondary on pass plays of 16, 4, 4, 11 and 6 yards. The Christina Moss secondary is stunned by the quickness and elusiveness that Aquaman possesses. As a change of pace, Aquaman lines up in the backfield and takes the handoff splashing off of right guard. With the defense backed up in a zone to try and contain Aquaman, the run play catches them off guard (right guard) and the BB blocking gives Aquaman a clear path up field, with a cut to the outside, and a gallop for 23 yards before being squeegee’d out of bounds. With such giant holes to run through, Aquaman gets a little eager and jumps off sides on the next play. On 1st and 15, Aquaman tries another run play and makes up most of the penalty with a 4 yard surge. The BB coach goes back to the pass, and Aquaman jets up field and stops on a drain and makes a 10 yard catch. Getting closer to the end zone, the BB coach realizes that Aquaman might be easier to contain. So, the BB coach dials up on the shower head to spray and give Aquaman two hand off plays in a row. The plays spatter for gains of only 2 (plus the 1st down) and 1 yards. The BB coach decides to go back to the pass on 2nd down and 9, and Aquaman proves again that his jet stream is too hot for this secondary to handle and Aquaman pours into the end zone on a slant route from the 13 yard line for a TOUCHDOWN! The extra point (can act as a stabizer) is GOOD! After watching Burt’s Bees march right down the field, Christina Moss Facial Moisturizer’s coach responds by opening the candy store with Organic Star Anise Seed Oil. To start of the first drive for Christina Moss, Organic Star Anise Seed Oil (also known as A-Star), begins from the 20 yard line after the kickoff. On the first play, the Burt’s Bees DEs are looking at A-Star like a long string of candy, and get a little too eager and jump off sides. With a short yardage 1st down, A-Star looks deep takes a shot. The C-Moss WR tries to zoom under the pass, but the adrenaline puts too much on the ball and it sails just out of reach. A-Star then takes a conservative handoff up the middle for 4 yards. On 3rd down and short, A-Star takes the snap under center and quickly pushes the pile forward for 2 yards. A-Star then lines up in the shotgun and feeling warmed up, goes no huddle on a series of passes. A-Star finds his WRs for plays of 6, 10, 3 and 14 yards. A-Star then goes deep to connect with a C-Moss WR for a sweet completion over the middle of the field for 24 yards. On the play, one of the Burt’s Bees DEs knocks A-Star down after the pass is released. A-Star gets up a little slow and the Christina Moss coach calls timeout to try and give his star QB some time for the cob webbs to clear. The timeout works as A-Star comes back with a vengence and takes the snap from the 12 yard line. A-Star sees his star TE and zips a pass high where no one but the TE can reach it. The TE reaches up and catches the ball for a 12 yard Touchdown! The extra point (muscle relaxer) is GOOD! The BB coach is looking to make a strong response to the Christina touchdown. With an impulsive choice, he sends out Parfum to try and make that bold statement. Parfum is just a fancy name used for undisclosed fragrances. Often these scents go undisclosed because the have nasty side effects. Parfum has been known to cause skin, eyes, or lung irritation. In the worst of times, Parfum can even cause toxicity of the organs. Parfum starts the series on the 20 after the kickoff touchback. On the first play, Parfum takes the handoff for a run off of right tackle. The defense easily sniffs out the play. Parfum does an incredible job of picking up the scent of the slightest hole and makes it 3 yards before being snuffed out. On 2nd down, going no huddle, Parfum stays in to block on the pass play. Parfum leaks out after the QB can’t find an open receiver. But, the QB is hit as the pass is being made and the tackle causes the ball to go off target for an incomplete pass. On 3rd and seven, Parfum tries to get a jump on the play, but is offsides by a nose costing the team 5 yards. With 12 yards to go on 3rd down, Parfum goes in motion and at the snap runs a down and out. The ball is delivered on the nose and Parfum sees the sticks. But, the defense was ready for the play and is able to waft Parfum out of bounds before getting the first down. With to far to go on 4th down, Parfum really gets some leg into the punt and the ball outpaces the coverage. The returner catches the ball at the 16, and starts left. After clearing the first coverage man, the returner cuts back and is in the open. Parfum has the angle on the Christina Moss returner and is able to force them out of bounds with a cloud of smells after a 36 yard return. Unfortunately for Christina Moss, a flag for a block in the back nullifies the return and Christina Moss is moved all the way back to their own 9 yard line. Looking to dig out of the bad field position they were put in by the Burt’s Bees punt, the Christina Moss Facial Moisturizer coach goes with a safe play of Vegetable Glycerin. Vegetable Glycerin has many talents that include being naturally Vegan. Vegetable Glycerin is clear and odorless and is derived from plants like palm, soy or coconut. Vegetable Glycerin also bring talents like attracting moisture to skin, and helping teammates (other ingredients) become more easily absorbed by skin. Vegetable Glycerin is sometimes used as a solvent and can be used as a substitute for alchohol when producing botanical and herbal extracts. Vegetable Glycerin best quality for Christina Moss is it’s ability to soften and lubricate. This can be expecially difficult on defenses trying to stop this effective and elusive player. Starting from their own 9 yard line, Vegetable Glycerin opens the offense up with a quick out pass that gets Christina Moss off of their own end zone’s doorstep. Vegetable Glycerin mixes in runs and passes to gain another first down as the 1st Quarter expires. To open the 2nd quarter, Vegetable Glycerin runs a deep route down the right sidelines and slips past the DE for a 39 yard completion. The Burt’s Bees defense brings in the sponge defense as they are attracted to moisture. BB D sops up Vegetable Glycerin holding them to three short plays to force a FG attempt. Vegetable Glycerin lines up and strikes the kick through the uprights from 40 yards. The FG is GOOD! The Burt’s Bees Night Cream coach was not happy to have lost the lead. But, he was elated that his defense forced Christina into a FG. His pets experience not able to help him in this game, X-Gum instead relies on his more lotion oriented talents. X-Gum has an array of features he brings to the BB offense. And, coach doesn’t hold X-Gum to a limited playbook. Trotting out to the field after the touch back, X-Gum tries to condition the skin of the defense with a 2 yard rush up the middle. X-Gum follows that up with play action that draws the defense up while X-Gum fakes a gel forming block and dashes deep. The QB lays the ball up to X-Gum and he pulls the ball down for a 20 yard completion. After the first down, X-Gum increases the viscosity as he pours up the middle for 5 more yards. But, the defense limits X-Gum on the next two plays by bringing in some anti-gel and anti-binding specialty players. X-Gum isn’t able to bring down either pass and is forced to punt. X-Gum lowers the surface tension on his punt and drops it nicely at the 10 yard line where the return man has to signal for a fair catch. Deep in their own territory, the Christina Moss Facial Moisturizer coach looks down his bench for someone to flip the script. Emulsifying Wax (or also known as Eeww; he’s not well liked to his teammates), is rolled into the game. Eeww is best known for his ability to mix teammates together into a well dispersed machine. Eeww’s down side is that he hangs around in rough neighborhoods and bad things just seems to stick to him. Eeww opens the drive under center and drops back for a short pass to the flat. The Christina WR gets turned around as the pass is behind him. Going hurry up, Eeww goes the other direction for an out pass. But, this time the DB is waiting, and the stiff pass is picked off! The Burt’s Bees DB has an easy walk into the end zone for a TOUCHDOWN! The extra point is good. I’m a Burt Bees fan. Go BB! Thank you for following the game. Burt’s Bees is a strong owner in this league.